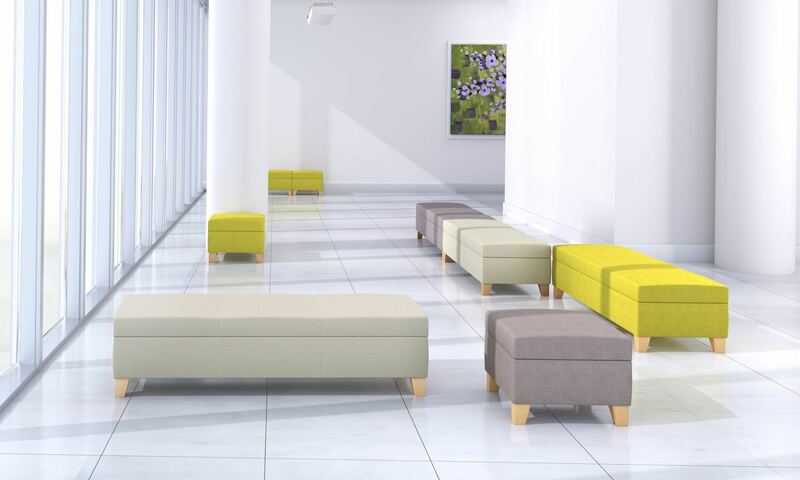 This robust bench and ottoman collection complement all Composium lounge seating models. Three bench sizes  plus ottoman  provide strategic accents or a functional and modular seating solution for industrial or formal settings. There are three Composium bench sizes – single, double and three seat – featuring PatternMatch expertise and multiple upholstery options. Other options include removable cushions, eleven foot styles, durable steel rail construction, field-replaceable parts, 300 lb weight capacity per seat, and optional power modules. Pricing includes a three seat bench in COM or Grade 1 upholstery.